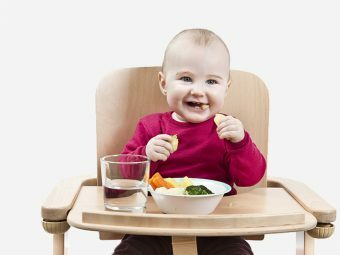 How Much Seafood Should My Baby Eat? Are you thinking about introducing your baby to seafood? How will it be beneficial for your little angel? Are there any side effects you should know? What is the right time to do so? If these questions trouble you, you might want to read this post. Here we talk all about seafood for babies. 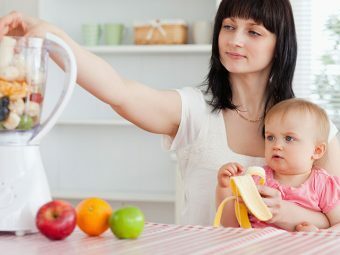 You probably feed your baby a balanced diet of vegetables, fruits, whole grains and lean proteins, but the one thing you might overlook is seafood. Most of the parents don’t find seafood safe enough for their children. So is it true or just an assumption? Read on to learn the answer. 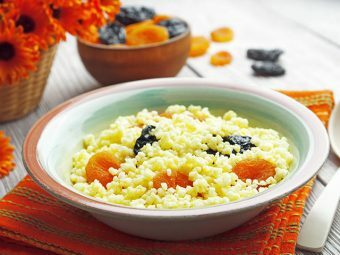 Fatty fish and seafood is highly nutritious. Adults and kids should ideally eat fish twice a week. Fish is low in saturated fat, high in vitamin D, protein and B complex vitamins. The high level of omega-3 fatty acids present in seafood promotes your infant’s brain development and boosts his immunity and vision. Salmon is the best source of DHA, an essential omega-3 fatty acid. A study published by the Archives of Disease in Childhood concludes that babies who start eating fish before turning nine months are a lower risk of contracting eczema. 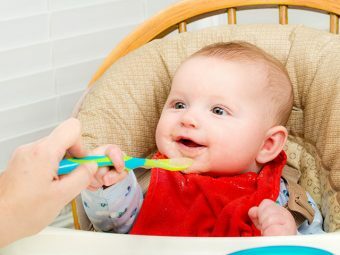 If your little one begins eating solids, feed him 2 ounces of low-mercury fish per week. If he is no longer breastfeeding, you can feed him around 6 to 7 ounces per week. Even with many amazing benefits you need to choose the safest option for your baby. Some seafood can contain environmental contaminants like mercury and PCBs that can damage the developing nervous system. The fishes listed above are easy to digest and not highly allergenic. Here are some tips to prepare seafood in the safest way possible. Raw or undercooked seafood contains potentially harmful bacteria, which can lead to vomiting, fever, and diarrhea. Contaminants tend to collect in the fat and skin on the seafood, so trim those areas before cooking. Baking, broiling, and grilling will further reduce the contaminants and fat. Ensure that you remove the bones from the fish. Some fish contain tiny bones, so be careful when de-boning. You can poach, bake, steam or puree the fish as you would with other meats. Fishes are usually tender, so you can just mash it with a fork. You can blend seafood with veggies that your baby likes. Here are some important things to keep in mind regarding seafood for babies. Start by introducing him to a little seafood and check other possible reactions. Introduce just one type of seafood at a time. It will be easier to pinpoint the offender if your child has a reaction. 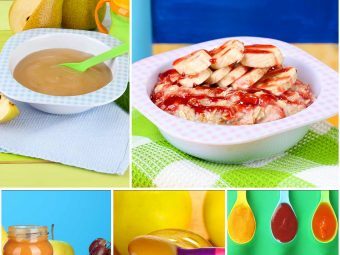 Follow the 4-Day Wait rule for baby food. Seafood is an excellent source of nutrition, and these concerns should not deter you from feeding seafood to babies. You just need to exercise caution. When did you introduce seafood in your baby’s diet? How did he react to it? Please share your experiences with other moms here.